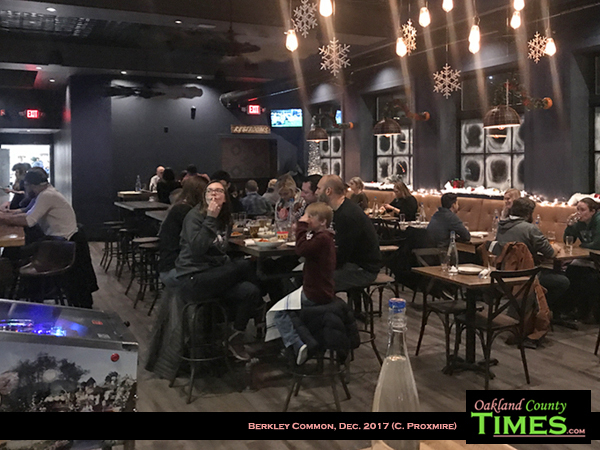 Berkley, MI – Sitting at a high table surfaced with reclaimed pallets and looking out at the stores lining Downtown Berkley, with a mural of artsy-looking trees behind us, the mood at Berkley Common was comfortably fun. Families and adults enjoyed unique sharable-dishes, while some kids played with the Wizard of Oz pinball machine and Rugby graced the television set over head. It was a unique mix of elements that sort of had something for everyone. 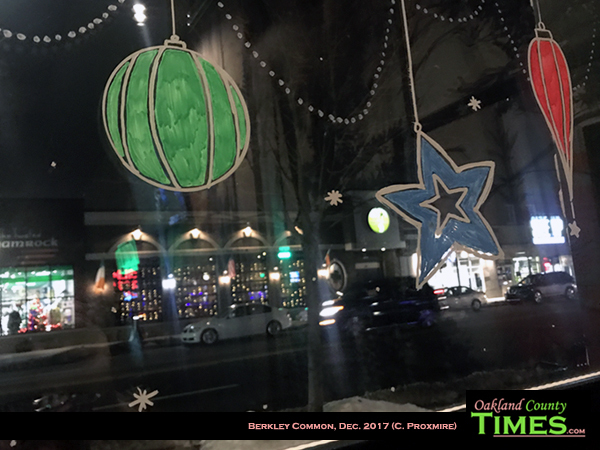 Every story mentions what this space used to be, but I have never been to 3087 Twelve Mile Rd before, and I see a bright future for the Berkley Common. Uncommon food. Nice big windows. Thoughtful details inside. Lots of smiling faces. 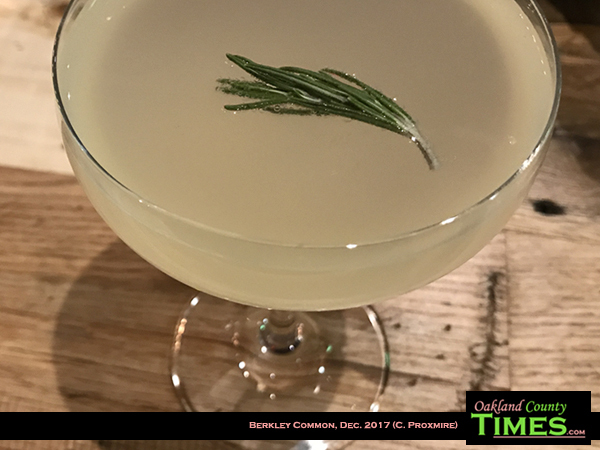 My dinner friend drank some kind of craft beer, while I went for a house cocktail called “Thoughts of Mary.” It was very tangy, with Seagram’s Gin, Lemon, Rosemary, St. George Pear Brandy, Sparkling Wine and Angosturn. 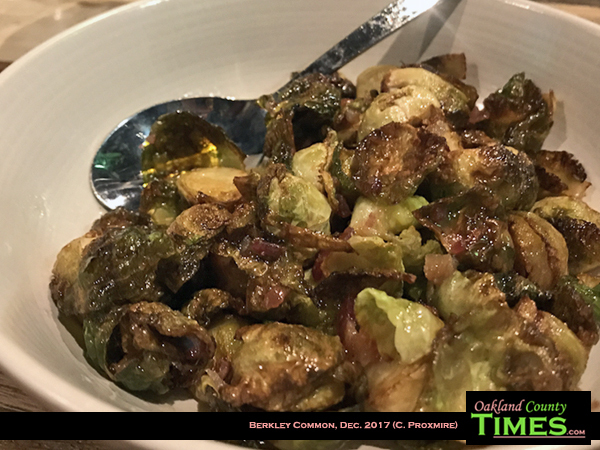 We shared a bowl of roasted Brussels Sprouts and a Roasted Cauliflower Salad. This salad was like nothing I had ever had. 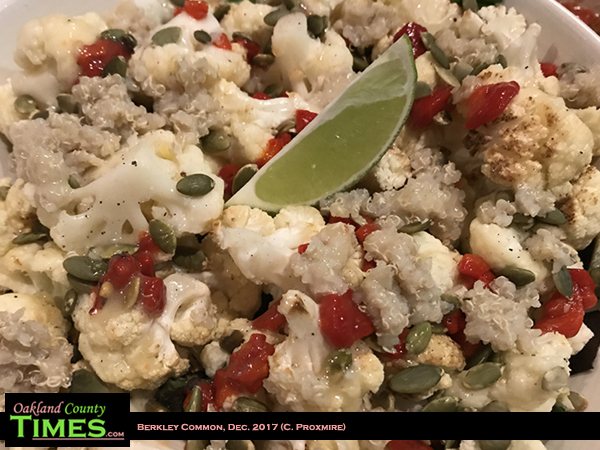 It was cauliflower, quinoa, pepitas, red pepper, agave, Himalayan sea salt and vinaigrette. The agave gave the salad a hint of sweetness that tied everything together splendidly. 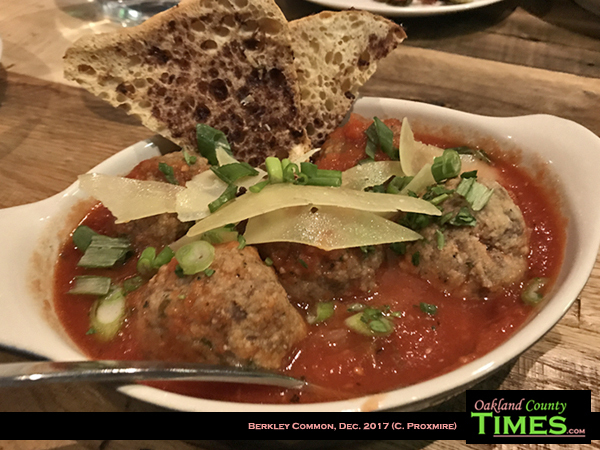 We also split some meat balls, which were presented beautifully with marinara sauce and shaved Parmesan with little triangles of ciabatta bread. It was all really nice, a good addition to Downtown Berkley. 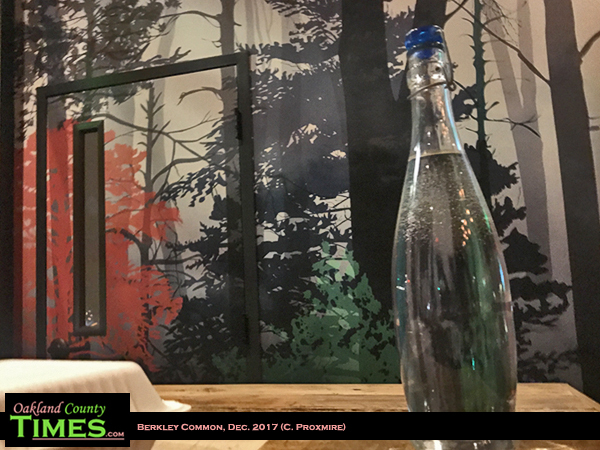 Berkley Common opened in the fall of 2017. According to their website, Executive Chef Patrick O’Donnell was educated at the Johnson and Wales College of Culinary Arts in Denver and has a focus on healthy food. The menu is full of many interesting vegetarian dishes. Tuscan Kale & Pear Salad, Burrata Cheese Heirloom Tomato Salad, and Japanese Steamed Buns. Plus there are burgers, fries and deserts. For now they’re open 4-11, Tuesday-Sunday. Check them out online at http://berkleycommon.com/.